It was getting dark. We were all weary after traveling such a long distance. We felt insecure after the previous night’s nightmare, when a thief had broken into our hotel room. The thief was almost caught by my brother. However, he had come prepared with a well oiled body, and slipped out of my brother’s clutches and scrambled down the coconut tree outside the window and escaped, even as my sister and I watched paralyzed at the sight, and my young son slept blissfully unaware of happenings! Our Goa trip which was planned for a week, culminated after a mere two days of fun and frolic at the beaches. After losing our house keys and some cash in the mid night encounter none of us wanted to stick to our original plans. We could leave the tourist’s paradise only well after noon, after completing all the police formalities. My husband and brother-in-law decided to break our journey at Hubli since we did not want to drive all night. My sister, myself and the kids strongly protested against staying at a hotel AGAIN! Finally we decided to land on my father’s cousin who happened to live in Dharvad. Our hostess welcomed us - the shocked lot - with a warm smile, extending to us the much needed refuge and security. At that unearthly hour, she prepared jolada rottis which were so soft, warm and comforting and served them with pulikachal. 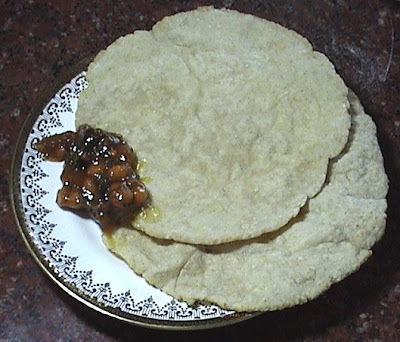 Jolada roti (Jowar flat bread) and pulikachal (tamarind ground nut relish) – an unconventional combination was ambrosia to us at that hour. Later when I learnt to make jolada rottis myself, my family still preferred to eat it with pulikachal, in spite of the badanekai playa (brinjal curry) and the kadalekai chutney pudi (spicy peanut chutney powder), which is typically had with this dish. 1. Boil 1 ½ cups of water in a heavy bottomed pan. 2. Add the flour to the boiling water, stirring vigorously at the same time. 3. 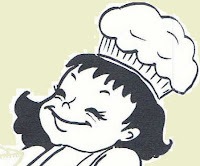 When the flour is cooked and gathers into a mass, switch off the flame and cover with a lid. 4. After a few minutes remove the lid and knead the mass into a smooth dough. 5. Divide it into medium size balls and roll them out with a rolling pin. 8. 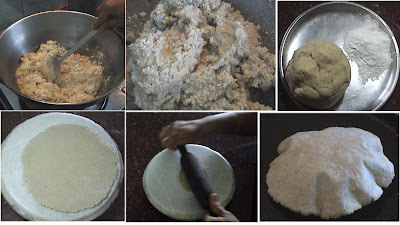 Press the roti with a wet cloth so that the whole rotti puffs up. 9. Roll all the rottis and cook them side by side, to avoid drying up of the rottis. Enjoy the soft and warm rottis with a blob of butter, badanekai palya and chutney pudi. If you want to pack these rotis for a travel , carry a bottle of pulikachal along, for a lip smacking meal. 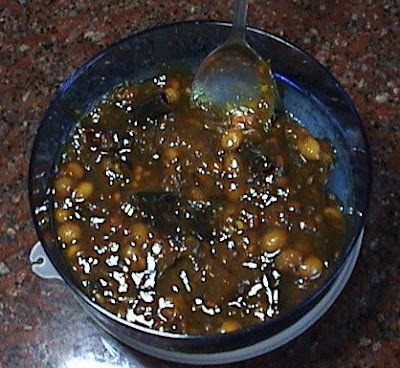 This is a simple version of the same pulikachal which is used in the preparation of puliogre or tamarind rice. 2. Dissolve jaggery in a little warm water, filter it into the tamarind juice. 3. Heat the oil in a heavy bottomed pan and add the mustard seeds. 4. When it splutters add the dals and fry till they become golden in colour. 5. Add the ground nuts and fry till they crack. 6. Add the red chillies broken into small pieces. 7. When they become crisp add curry leaves and fry. 9. Now add the tamarind and jaggery juice to the seasoning. 10. Add salt and cook till it thickens stirring now and then. 11. When the pulikachal is thick like jelly and the oil separates, switch off the flame and blend in the roasted and ground fenugreek and asafoetida powder. This makes a very good spread for bread. It goes well with almost any and every dish. It has a long shelf life if stored in a dry air tight jar. My pulikachal never lasts more than two days because of my family’s attacks on the dish at every meal time ! 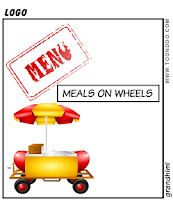 This post goes to Lakshmi's SWC Meals on Wheels event! Pulikachal looks tempting....its apt for travel! Love pulikachal anytime. Roti looks very soft. That trip and Girija's warm hospitality are unforgettable. I still havn't tried out jolada rotti at home even once. I've heard that jowar rotis are really difficult to roll out. Is that true??? Btw, I too think that pulikachal and any kind of pickle for that matter is the perfect accompaniment for all kinds of food. 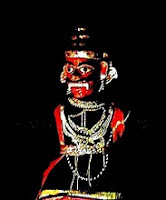 Puliyogare gojju is a must keep for travels. Thanks for the recipe. I can have pulikachal with anything, I love the tanginess and the peanuts soak up all that flavor...sigh, I wish I had some now :D I need to buy some jowar flour immediately to try out the rotti's. They look soo good. Your brother must be really brave! And I am amazed at how prepared the thief was by oiling his body! Glad that you guys had a pleasant night the next day. Oh my god thats really horrible...what a sad way to end a great vacation!..glad to know no harm was done...hope you guys are better now...thats a great thing your hostess was able to whip up!!!.. Jowar bread looks great, new to me...Pulikachal looks really prefect n tempting one!! Sorry to hear about the adventures you had and it was fortunate that you had relatives to stay. I am so shocked to hear about you bad expirience. It is a pity you had to cut the holiday short. I have stayed in lots of differents hotels in my trips to India and I too am sometimes nervous about the thieves. I am so glad nothing like this has ever happend to us. We did Nombu Adai. Will post it soon! lovely dishes! Never heard of them before. Looks yummy. How horrible, somebody breaking in to your room! I'm always afraid of something like that happening... I'm glad everyone is safe! Food looks delicious! pulikachal is so tempting..very nice combo..unique too! !